A super-powered radio telescopes has turned the Earth into one giant eye --the Event Horizon Telescope (EHT), a multinational effort involving more than 100 researchers--all pointing to Sagittarius A*—the supermassive black hole at the center of our galaxy first forecast by Albert Einstein and his theory of general relativity, and since then the subject of study by countless theoretical physicists, among them the famous cosmic detective Stephen Hawking. The EHT plan focuses on the relatively small but "nearby" supermassive black hole at the center of our Milky Way galaxy and the distant, but extremely massive, black hole at the center of the galaxy M87, a supergiant elliptical galaxy in the constellation Virgo shown below--the most massive black hole for which a precise mass has been measured -6.6 billion solar masses. Orbiting the galaxy is an abnormally large population of about 12,000 globular clusters, compared to 150-200 globular clusters orbiting the Milky Way. The M87 black hole grew to its massive size by merging with several other black holes. "While the event horizons of big supermassive black holes are relatively large (about the size of a solar system) the EHT's two targets are still very, very far away" says Adam Frank an astrophysicist at the University of Rochester and a leading expert on the final stages of evolution for stars like the sun in his 13.7 Blog on NPR. "Imagine using a telescope in New York City to make an image of a quarter in Los Angeles that was so good you could read the text on its face," he writes. "That's the challenge EHT scientists face in imaging a black hole. To overcome this challenge, they are pushing their technology to new extremes." When you point two electronically linked telescopes at the same object, what you get, in essence, is a bigger telescope. Combining the light from the telescopes is what's called interferometry — and it's remarkable and complicated. There are radio telescopes in Chile, Mexico, Spain and the South Pole that are all in on the EHT project. The EHT uses these instruments, stretched across the globe, to get the highest resolving power possible. Harvard astronomer Dimitrios Psaltis ahas been working on black holes as part of the massive Event Horizon Telescope project that will capture the first-ever image of the massive dark void at the center of the Milky Way, the one scientists think is sucking up any matter or radiation that wanders too close to its event horizon, or point of no return. Psaltis, a lead scientist on the Event Horizon Telescope (EHT) project, that includes his wife, former Radcliffe fellow Feryal Özel, and a series of super-powered radio telescopes scattered around the globe. Their results could prove that Einstein's theory—the notion that gravity is due to the curvature of the continuum known as space-time—is exact. Or, perhaps, just a little bit off. "What we are looking for is not a description of gravity," he said, "but the description that happens to be the one that describes our universe." To make those calculations, researchers will need to see what has thus far been invisible. But how exactly do you capture the image of a spinning, giant black abyss? You don't, said Psaltis. You take a picture of its shadow. Swirling around Sagittarius A* are charged particles that have been ejected from the surface of nearby stars. 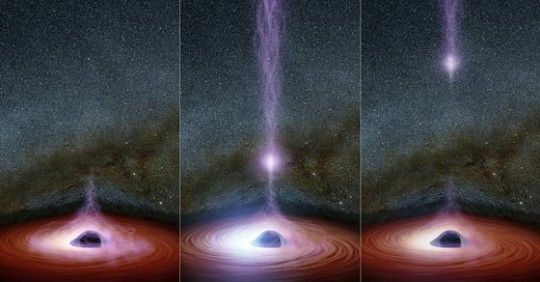 Moving at supersonic speeds, those particles heat up millions of degrees to form a shining mass of plasma, or "accretion disk," around the edge of the black hole before they are engulfed. "The plasma is so hot that it is actually glowing in the radio waves detected by the telescopes," said Psaltis. "You put a black hole in front of that glowing plasma and you get a shadow, you get a silhouette." Eager to accelerate the process, Psaltis and his team hacked into their computer's graphics card, the circuit board that controls how images appear on the screen, and gave it a little something extra. "We made it program those chips to do the rendering in the presence of a black hole. … Our codes are so fast that now we use a type of Xbox to control the process with our hands because there's no way to type fast enough to do it." If the image Psaltis and his colleagues produce is perfectly round, it will indicate Einstein was entirely correct. But if the image starts to warp and bend, it means his theory might need some tweaking. "That nice circle that you see here has a particular size, has a particular shape only because Einstein's theory told us so," said Psaltis, pointing to a simulation on his screen. 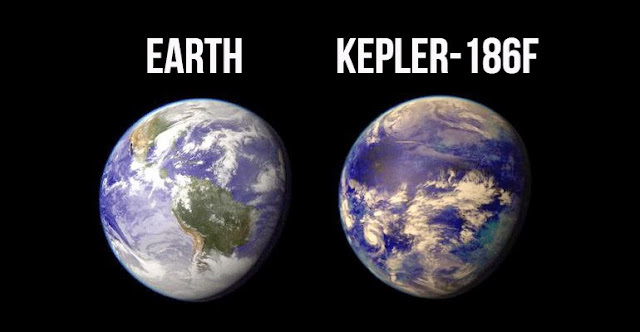 "If the theory is different, both the size and the shape will be different. "The shape of the shadow can be used to tell us exactly what that gravitational field looks like outside that black hole," he added. "And by measuring that, either we will be able to say if Einstein's theory predicts it 100 percent, or if there are small tweaks that we need to add in order to get it right … this is the smoking gun as far as Einstein's gravity is concerned." Psaltis' current project has deep Harvard roots. In the 1990s, he and Özel were both on campus, Psaltis doing postdoctoral research, his future wife pursuing her Ph.D. Together they collaborated with Ramesh Narayan, the Thomas Dudley Cabot Professor of the Natural Sciences, on early simulations that explored what happens to the plasma around a black hole. That research helped determine that the radio wavelength that would give them the best chance at seeing the black hole's event horizon was roughly one millimeter long. "We found that the plasma becomes more and more transparent as you go to a higher and higher frequency and that's what we calculated, where you need to make that observation in order to be able to peer through the plasma," said Psaltis. At one millimeter you "see the black hole's shadow," he said. Skeptics persist. Despite its potential to advance understanding of black holes and render a key scientific judgment on Einstein's work, research like Psaltis' leaves some doubting an effect for life on Earth when Sagittarius A* is 26,000 light-years away. The native of Greece, who said he gets that question "all the time," dons his philosopher's hat to answer it. Such endeavors have a foot in both the past and future, he noted, and can also illuminate specific events and ideas, from the Big Bang to investigations into parallel universes. Equally important is the notion that today's research might have its greatest impact tomorrow, Psaltis said. To make his case, he cited the work of the German mathematician Bernhard Riemann, who challenged the accepted model of Euclidian geometry in the 1800s by imagining a world in which two parallel lines ultimately crossed. Einstein would go on to base general relativity on Riemann's mathematical framework. "Not even in his wildest dreams could Riemann have predicted that," said Psaltis. "But if he had not asked in the 1800s, 'Is there any way to make two parallel lines cross?' we would not have Einstein's theories, or GPS, since your phone makes calculations based on Einstein's theories to determine where you are. "Abstract thought is good for intellectual curiosity," he added. "You never can tell where that can take you." So how close are we to seeing a black hole? Remarkably close, say Adam Frank: "The EHT team is in the process of analyzing data taken earlier this year. Given the complexity of joining observations from so many telescopes, it likely will not be until December that they know what they have."